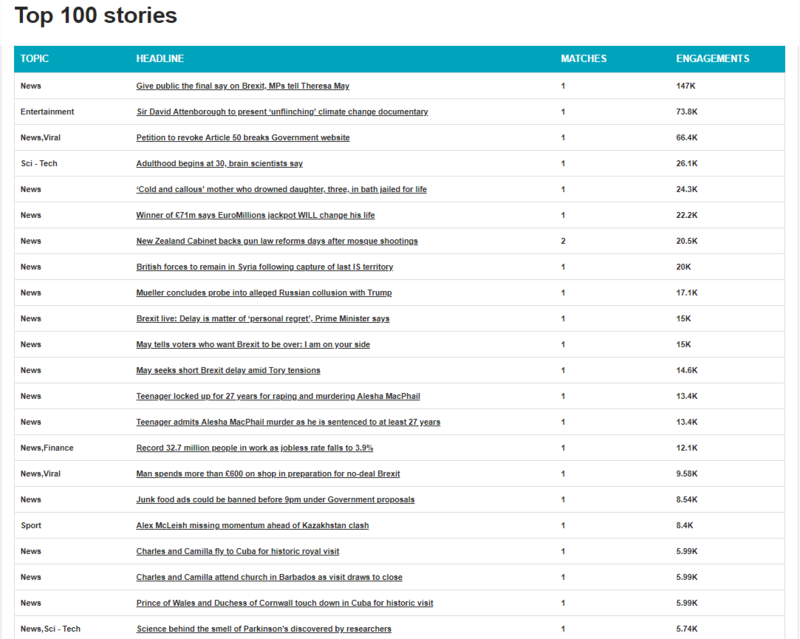 The top stories your customer has published that week, including usage and engagement figures. 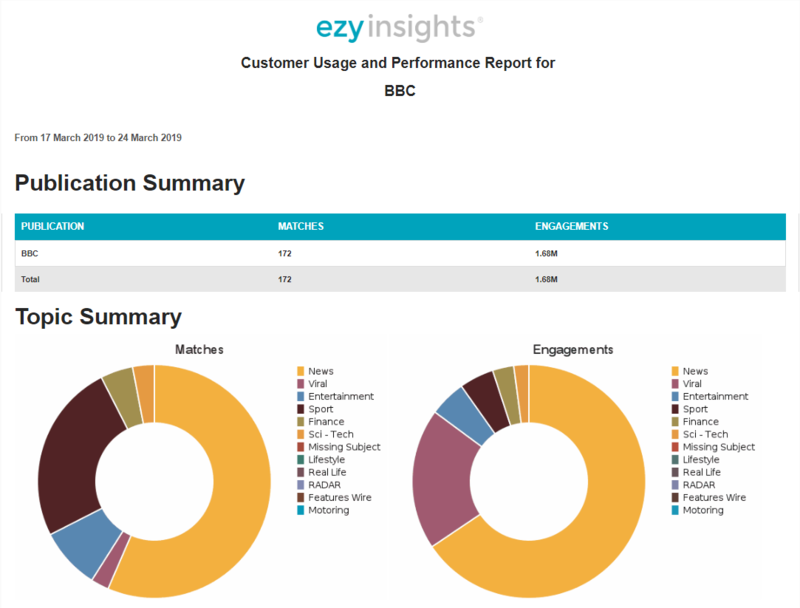 Using the reporting function, you're able to generate dynamic reports at any time. 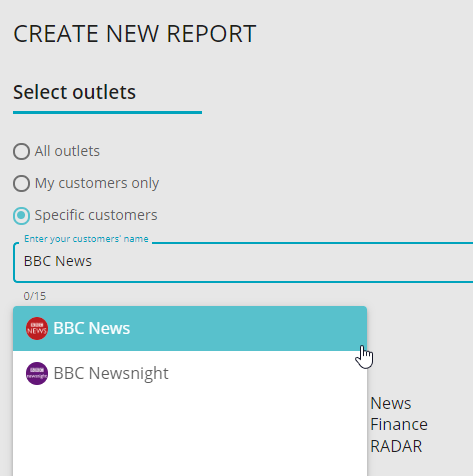 In this example we'll use BBC News as the example customer. 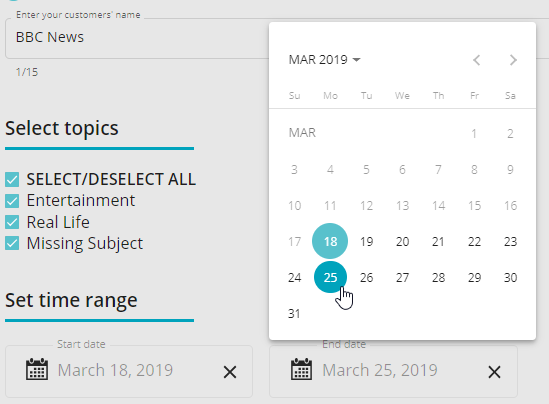 Click directly on the calendar icon to choose the start and end dates for your report. 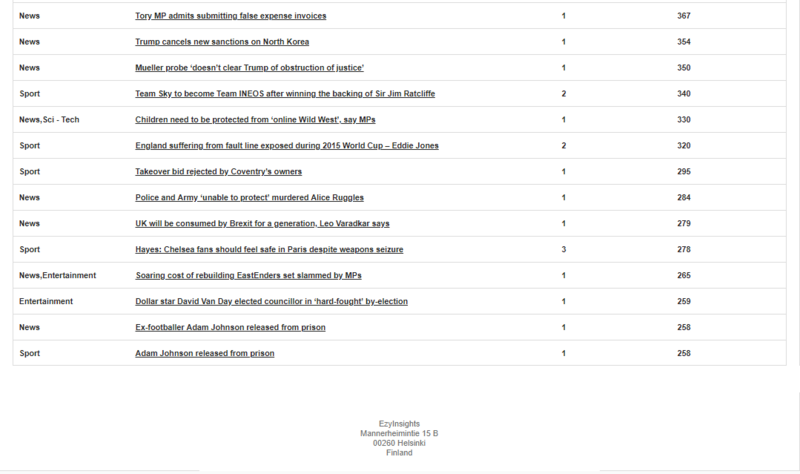 Press on the "Export report" button when you are ready. Note: Please allow some time for the report to load in the new tab or window that just opened. Voila! Your report is now ready. 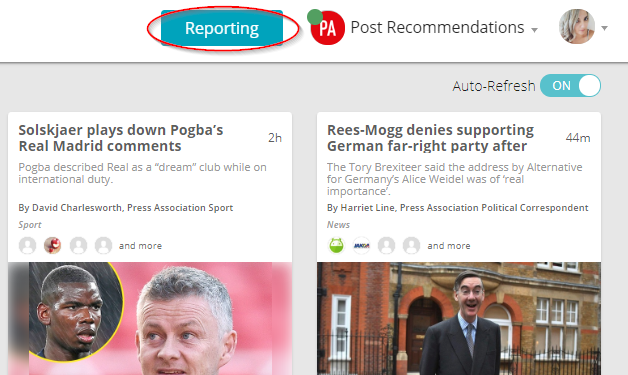 For any further assistance with reporting or the data within the reports, please contact us directly using the chat feature in the bottom right hand corner.